Tuesday, December 15, 2015 — The National Asian Pacific Islander American Panhellenic Association (NAPA) is excited to announce the appointment of Christiana Cabrera, sister of Sigma Lambda Gamma, and Jose Pangelinan, brother of Sigma Lambda Beta, to the 2016‐17 National Board. 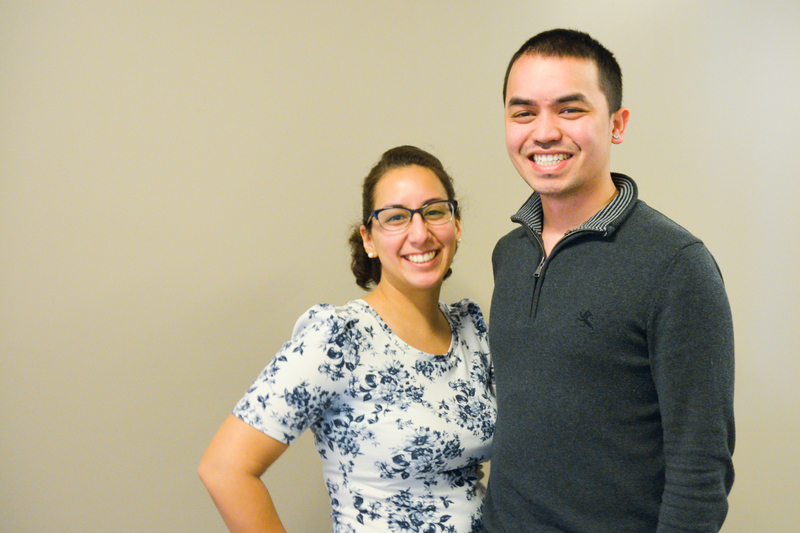 Christiana will serve as Director of Programs, Work Groups, and Jose will serve as Director of Programs, Initiatives. These appointments signify the first time in NAPA history for non‐NAPA members to join the association’s National Board. Christiana has three and a half years of experience as a director for the Sigma Lambda Gamma National HQ, serving Director of Expansion and Director of Education. She has extensive development expertise, due to the numerous programs she has created and revised for Sigma Lambda Gamma over the past three years: Panther Prep Academic Program, Amethyst Entity Development Program, and Associate Member Educator Certification. Additionally, she has previous experience in generating national, regional, and entity retreat content such as networking activities, values alignment workshops, resource navigation workshops, and panel discussions. She currently resides in Iowa City, IA. Jose Pangelinan was born in Guam and raised in California. He completed his Bachelor’s at the University of Texas at San Antonio, in Psychology, where he had the pleasure of joining Sigma Lambda Beta International Fraternity. Jose was involved and president of his chapter and Multicultural Greek Council. He currently works as the Director of Member Services at the Executive Office of Sigma Lambda Beta and resides in North Liberty, IA. The National Asian Pacific Islander American Panhellenic Association (NAPA) is a collective of 17 intercollegiate fraternities and sororities with an interest in culture and serving the APIA community. NAPA advocates the needs of its member organizations, provides a forum to share ideas and resources within its members, and supports the development of positive relations through open communication with interfraternal partners to enrich the fraternal experience.